Waking up early in the morning, I confirmed the departure time of limited express for Oboke on the internet. After, I had a breakfast. 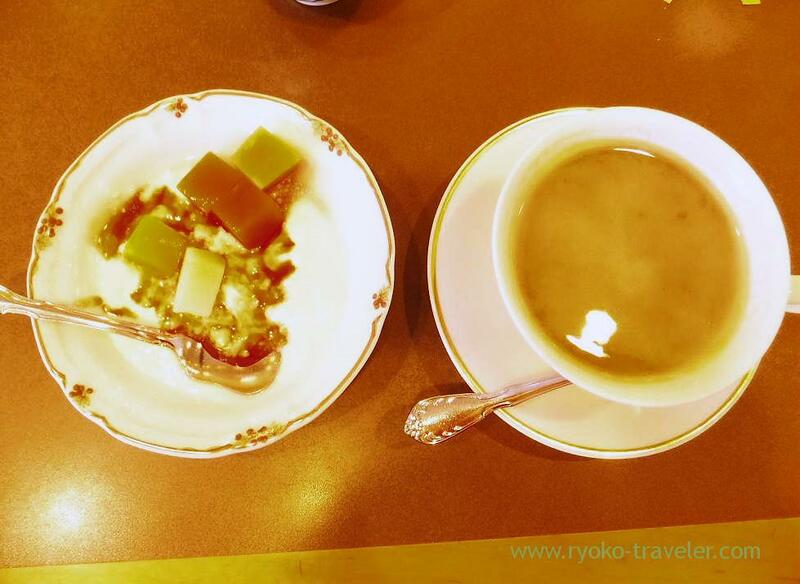 There were some kinds of ingredients which is available on an all-you-can eat basis into miso soup. 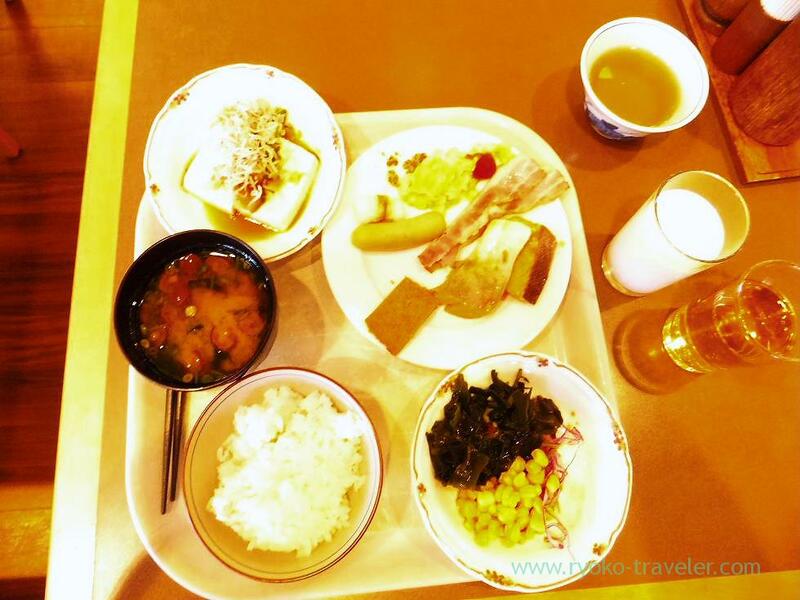 I threw many nameko mushrooms into my miso soup :P.
Finishing to eat, I checked out immidiately.I went to Tokushima station. 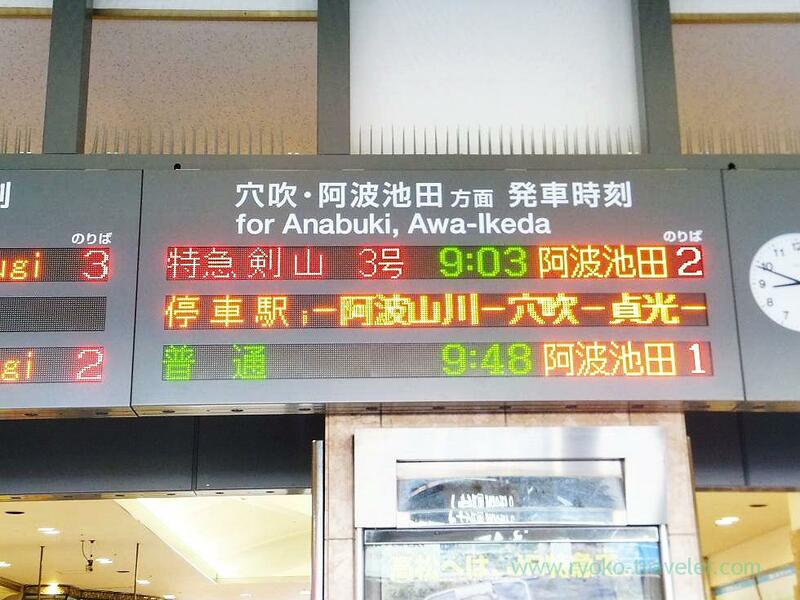 I had to change the train at Awaikeda. There are no train bounding for Oboke directly. 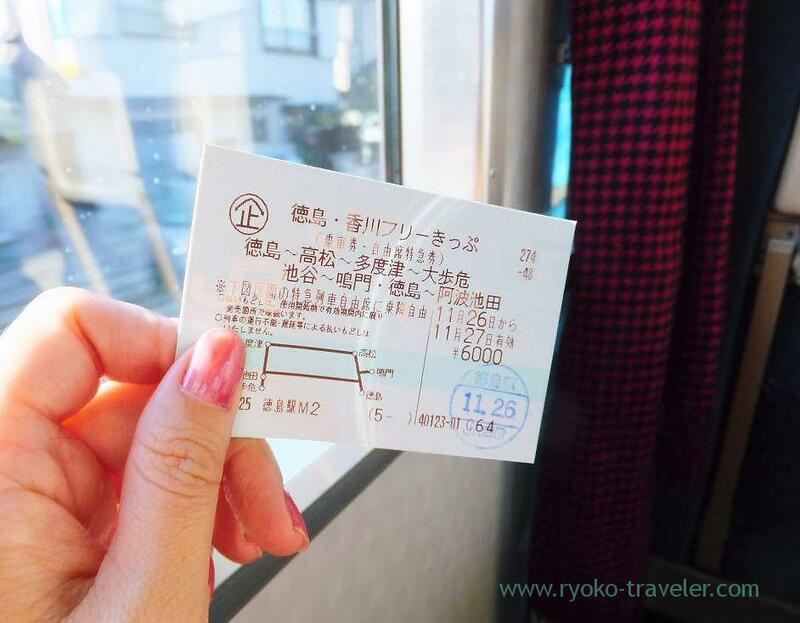 By this ticket, you can take every express and another local stations freely within Tokushima and Kagawa.